With baby on the way, lots of baby gear is needed especially in the nursery. Today, I'm reviewing Universal Comfy Co Mattress Protector Pad. A mattress can take a beating, especially with children. From accidents to allergens, they can get messed up fast which is why it's a great idea to consider a mattress protector pad. 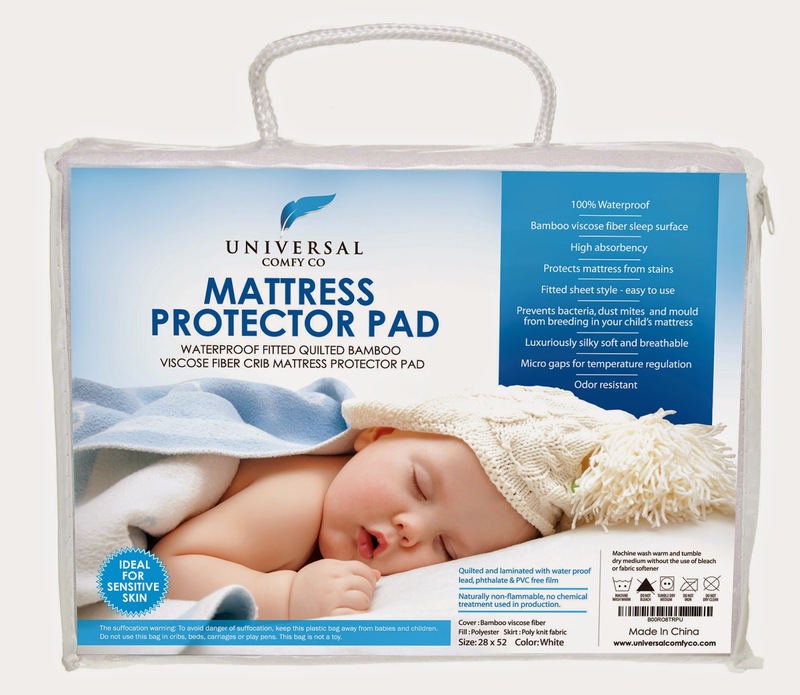 The Universal Comfy Co Mattress Protector Pad is 100% WATERPROOF and is made to the crib/toddler mattress fitted sheet STANDARD SIZE- 28 inches (wide) x 52 inches (long) x 6 inches. The top is quilted with high absorbency bamboo viscose fiber terry cloth while the sides are breathable. Fits snuggly for safety and comfort. Micro Gap Technology - Body temperature regulation helps baby remain cool all night long. Naturally antibacterial, antimicrobial, antifungal, hypoallergenic, and repels bed bugs. LEAD, LATEX, PHTHALATE, PVC AND BPA FREE. No chemicals used during production. Follow the instructions to wash your mattress protector safely again and again then you will have no problems damaging the material. Princess A decided to test this out for her baby brother. She has not made the swtich yet to a big bed so this was great to test with her toddler bed and mattress. The pad fit her mattress snugly and she liked how comfy it felt under her sheet. It did not affect her fitted sheet at all. We were able to put her bedding on top as usual. I can only imagine how the new baby will enjoy it to. We are definitely adding this to our registry. 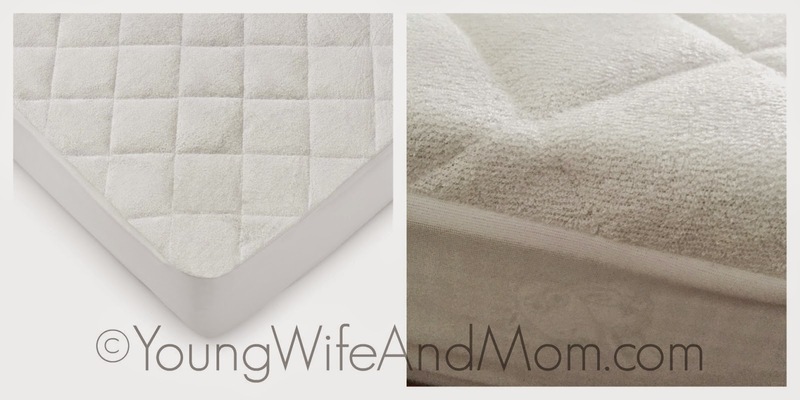 The price is affordable and a great investment for those pricey baby/toddler mattresses. This product is available on Amazon and for a limited time Universal Comfy Co is offering a Free E-book and bonuses with purchase. Order yours here. Disclosure: This is a sponsored post. I received a complimentary product for purpose of review. All opinions are mine.